ONCE UPON A PUEBLO. 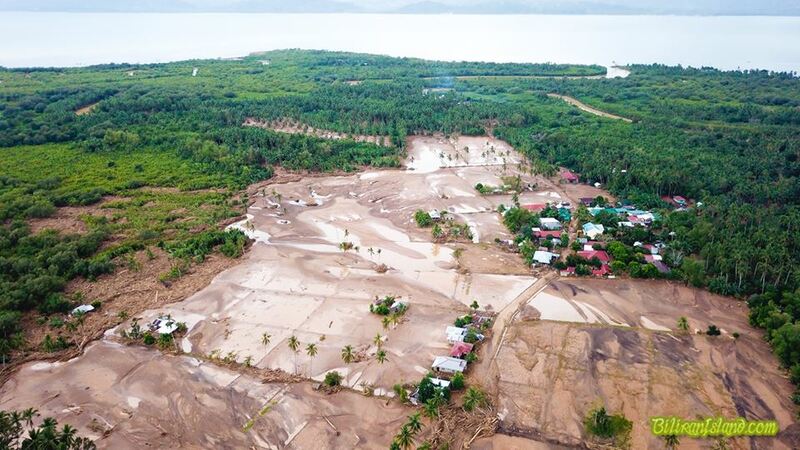 Tropical Storm “Urduja” had inflicted the most number of casualties (26 dead and 7 still missing, due to drowning from the flash floods or multiple injuries from landslides) from any natural disaster in the known history of the town. But this was not the greatest human loss we have incurred in our immediate geography. 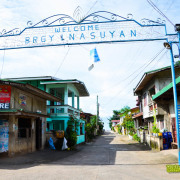 The record was set by a devastating Moro raid on May 26, 1754 (or 263 years ago) on the ancient poblacion of Biliran pueblo, located in the present Urduja-destroyed Sitio Ilawod of Brgy. 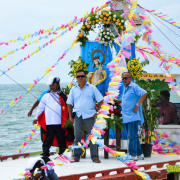 Caraycaray in Naval (shown in the drone photo of BiliranIsland.com). 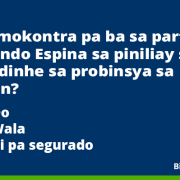 The year 1754 was the worst year of the Moro raids in Philippine history, and the raid on Biliran pueblo was given headline treatment and prominence by then Spanish Gov.-Gen. Pedro Manuel de Arandia y Santestevan in the report he submitted to the King. In much the same way that Pres. Duterte gave prominence to the recent Urduja disaster in our province. “On the twenty-sixth of May of this year  there entered in the pueblo of Biliran of this Province of Leyte and Catbalonga [i.e. Samar] numerous Moros who went by land along the little river of Anas, a distance of one league and a half or two away from it. Thus, having reached the interior part of the mountain, they plundered the dwellings and wrought great devastation. They seized or captured many inhabitants with the exception of the gobernadorcillo [native mayor] who managed to escape. They plundered and stole all the jewels [alhajas, i.e., the sacred vessels such as chalices, ciboria, pyxes, monstrance, vestments, etc.] and the church furnishings. They razed and destroyed all the planted fields along with all the houses, so much so that there was no place to live or any plantations left to survive on. In 1754, Anas River still cut across the landscape and its mouth was in the present Brgy. San Pablo. By apparently sailing from the east and south and landing on this area, the Moro boats were sufficiently blocked by a low hilltop from the view of the local sentinels on the mountain (who were monitoring the open sea on the west) at the time of the raid. Two local place-names in the area can be dated back to May 26, 1754. One is Inagawan (place of abduction or grabbing). This was apparently the place where most residents of Biliran pueblo were captured by the Moro raiders, trapped as they were while seeking refuge in the baluarte (watch tower), the church, and the casa-real (government house) here. The other is Macababalo (something that can create widows), apparently an indictment against the assigned sentinels on the present Brgy. San Pablo (the new name), who failed to detect the Moro raiders in the vicinity and to alert the residents about them. 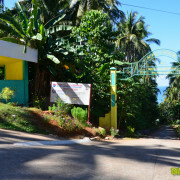 Padre Gaspar de Guevara, the first Secular parish priest of Biliran, pulled out the Biliran poblacion from the present Sitio Ilawod and transferred this to the forest on the present Brgy. Hugpa in Biliran town. The move was apparently in protest against the expulsion of the Jesuits from Leyte-Samar and the Philippines in 1768 or 250 years ago. But this is another story.